Open every day of the year for breakfast, lunch, afternoon tea and dinner. Non resident guest warmly welcomed. Bar Menu: From 12.00pm. Drinks and snacks served throughout the day. 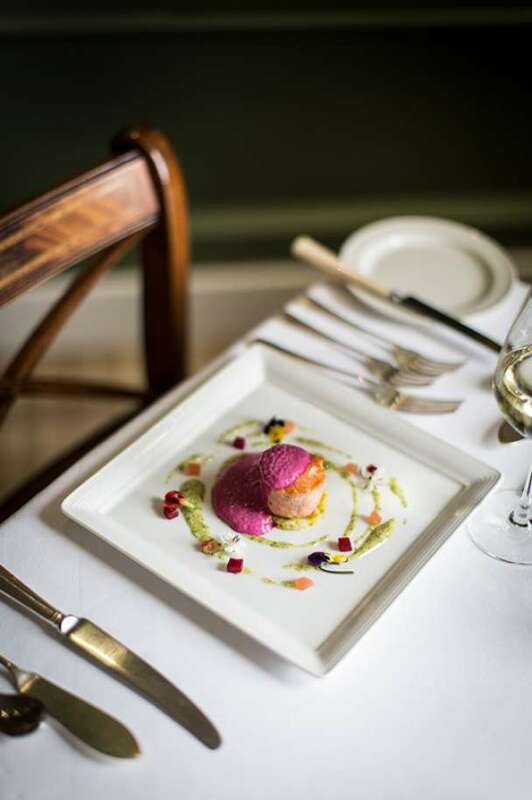 Food is the crowning part of the Kinloch experience. Feeding you well at every opportunity is something we take extremely seriously. 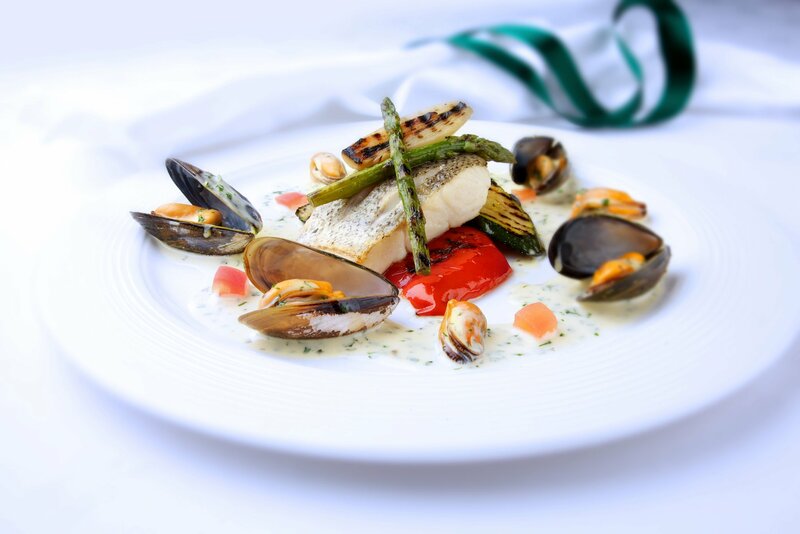 We serve a daily changing menu, taking advantage of the freshest seasonal produce available. 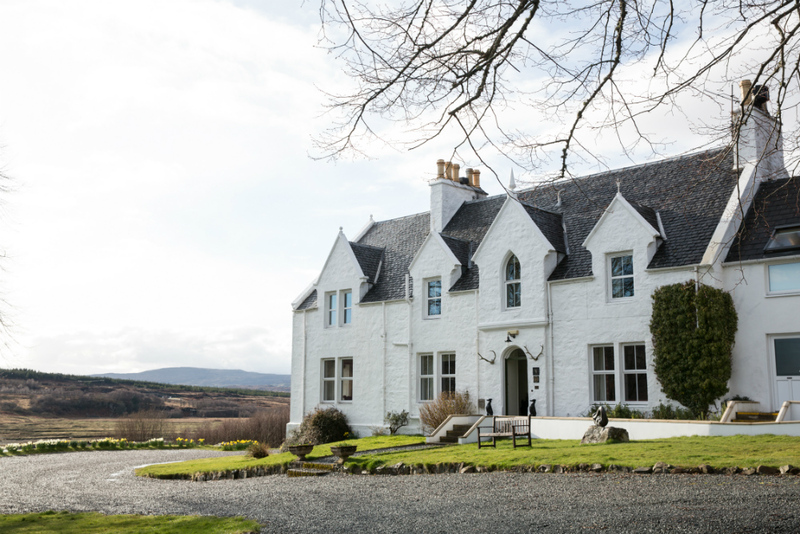 Claire Macdonald started the kitchens at Kinloch with a mission to make the most of the wonderful local produce on offer, simply cooked and served generously. Her focus on unfussy seasonal cooking was ahead of its time and today remains unchanged. 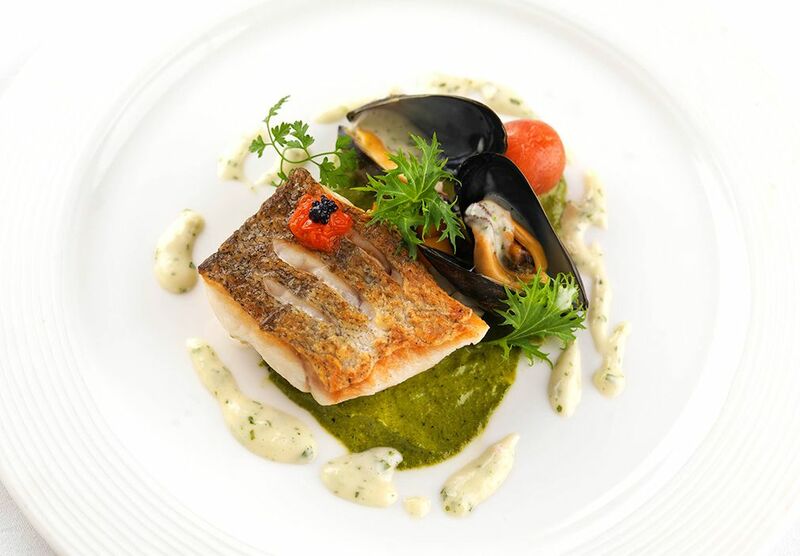 Armed with an ever-growing list of local ingredients, Marcello Tully continues Claire’s food ethos today, bringing to it his own influence and experience in some of the world’s finest kitchens. What a treat! The whole experience was fabulous, thank you for looking after us. Our 12-year old boys had never experienced a dining experience at that level; they were well & truly wowed - as were Mum & Dad.. This is our 3rd year going to kinloch for afternoon tea. Isabella and the team do a fabulous job. Everything from staff to food to atmosphere were amazing! Can't wait till next year. Lovely food in a warm and intimate setting. They were able to move our booking forward by 30 minutes to account for us deciding on the tasting menu and having to drive for a while after the meal. As we had been living in a van for a week a shirt iron hadn't presented itself to us and when compared to another couple who looked to have come straight from their wedding ceremony we probably looked a little scruffy. As such we were quite understandably moved to a less prominent table, but feel like it didn't need to be mentioned that we had been moved. Other than that, the variety of friendly antipodean staff served us up a lovely meal, and I would certainly recommend Kinloch to any friends who find themselves on Skye. Service was first rate, charming and efficient. Food on the 7 course taster menu was delicious red pepper soup divine, langoustine sauce fabulous. We didn’t eat on our second night, as we’d met friends for lunch.. but would have if we’d been able to opt for a 2-3 course dinner... overall, amazing thank you! Fantastic welcome, we were really looked after. The setting is magnificent, the lounges comfortable if it is raining. The food was superb, but the dinner formula, pancotta, soupçon fish and meat is reliable, yet it is hard to feel that the chef is testing or developing his skills. Superb if pricey wines. The crab terrine the pealed prawn had several shards of shell. The lamb main was over cooked and was average tasting lamb. The tea served with breakfast was very weak. Wonderful afternoon tea, thank you. Absolutely fabulous stay, we felt very spoilt and was a wonderful stay. Your staff are an absolute testament to the hotel and we can’t wait to come back. We arrived after just getting married, we received a warm welcome. After a long day we needed to dry off and get warm. Everyone was so helpful. The beautiful fire in the drawing room and comfortable settee helped us relax before dinner. Perfect in every way. They could not do enough for us. We spend our Wedding night here and it was faultless. Staff amazing, room fabulous and location brilliant. Thank you to everyone at Kinloch for making it so memorable. What a lovely meal to celebrate my partner's birthday. The only place where we know that we are going to get it right. Food is consistently outstanding, the service smooth and the experience relaxing. A real treat for a busy pair. We had such an amazing lunch at Kinloch Lodge. From the moment we walked in we were made to feel so welcome. The staff were so attentive and really wanted us to have a great experience which we did. The food was incredible. Next time we come we will stay. Thank you for such a lovely day. Superb food & service as always. Many thanks for a great lunch for our Wedding Anniversary. Delicious food in a wonderful setting. The staff were very welcoming and attentive. We definitely plan to return and wouldn't hesitate to recommend it to others. Once again we had a brilliant experience at Kinloch Lodge. Visited for a birthday treat, again not disappointed. The menu had some new exciting flavours. Aberdeen Angus beef on a bed of Strathdon blue cheese and celeriac was heaven on a plate. However, the build up to this was the amuse bouche and scallops with an oriental sauce which led up to the main. Each and every course was well presented and cooked with finesse. Great service from all the staff helped with the pleasure of the whole evening. Friendly and efficient yet relaxed, creating an very pleasant ambience. Looking forward to next birthday treat! 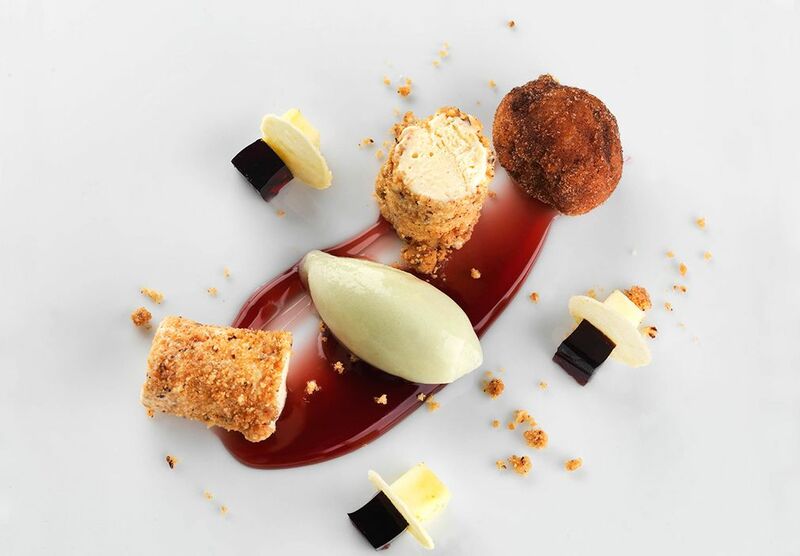 The team at Kinloch is gracious, kind and very good at what they do — we felt well looked after and the food was just wonderful. The building is stunning and the rooms are decorated beautifully. The atmosphere is very welcoming and you will genuinely feel "at home". Spotlessly clean and wonderfully appointed bathrooms. The staff are friendly, accommodating and attentive and yet still give guests their space to just enjoy their time there - a perfect balance. Exquisite scones and cakes for afternoon tea and a great selection of accompanying drinks. A very generous portion per person but it is possible to take home what you can't eat at the time! 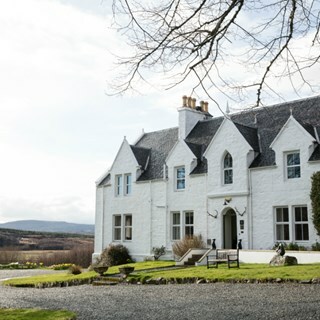 I personally cannot wait to return to Kinloch Lodge and would highly recommend a visit here, even if it's "just" for afternoon tea. Quite an experience! We had the most wonderful weekend at Kinloch lodge and we will definitely be back! The room was lovely, staff were warm and friendly and the food was to die for. Loved every second! A wonderful stay. The room was beautiful, comfortable, spacious with superb views from dual aspect windows. The food was fantastic - the 7 course tasting menu was a gastronomic feast. Great breakfast! Staff were very friendly. A luxury treat which we would highly recommend.